3 or 4 days in the new Hacienda Conception. The new hotel by the luxury hotel chain Inkaterra. This hotel is more affordable, budget-friendly than the other Inkaterra hotel. 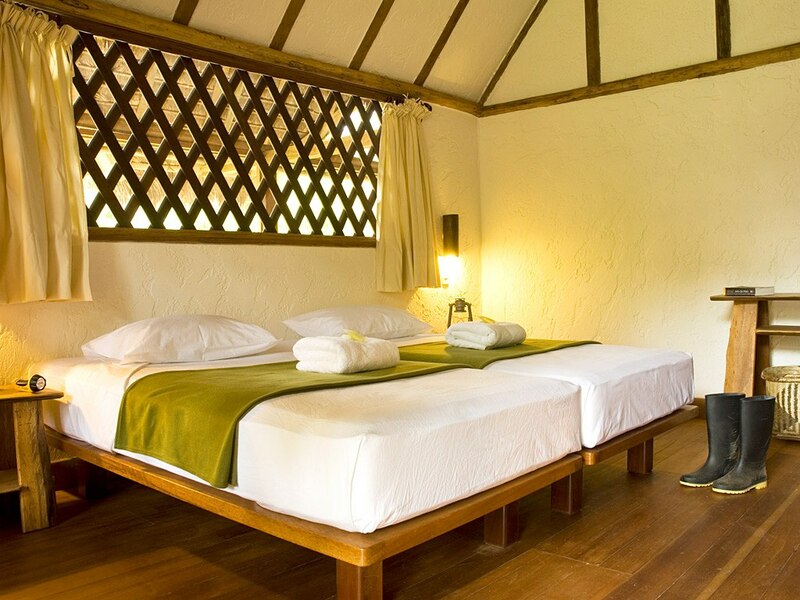 This hotel is a fine example of Inkaterra’s commitment to conservation and responsible tourism, while providing comfortable lodging at a lower price. Remote but accessible, the new Hacienda Concepcion caters to nature-loving enthusiasts who visit the region in search of an authentic jungle experience. About a 20-minute boat ride down-river from Puerto Maldonado, the new Hacienda Concepcion features a main lodge, with eight twin rooms and social spaces, and seven individual cabañas on stilts designed in the local style. 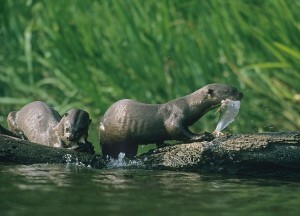 Hacienda Concepcion is located on more than 2,000 acres of rainforest within walking distance of Lake Sandoval (home to the endangered giant river otter). You will start your journey by arriving to Puerto Maldonado and checking-in at the Inkaterra butterfly house. You will be immediately immersed in the rainforest navigating on an outboard dugout canoe along the Madre de Dios River to Hacienda Concepción (approximately 25-minutes). You will have a buffet lunch with organic ingredients and native flavors. After lunch we will take a walk down one of our trails, where you will discover and learn about primary and secondary rainforest, its components, uses, transformations by the human being, and its relevance to the world. At dusk we will travel by canoe on the Madre de Dios River, you will learn about its ecosystems, Amazon creeks, nocturnal animals’ behavior, and the southern constellations. In the evening we will enjoy a nice dinner at the main house. New experiences lie ahead… After having a nutritious buffet breakfast we will get ready for a long trek through terra firma in the Tambopata National Reserve, to Lake Sandoval. 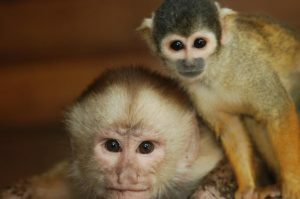 Here you will understand why Madre de Dios is called the biodiversity capital of the world, while learning about the reserve’s conservation efforts and the lake’s formation. 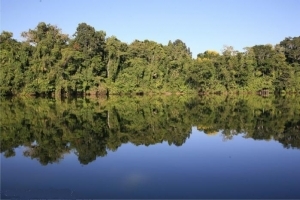 We will travel across this mirror-like oxbow lake that is home to the endangered giant river otter, blue and yellow macaw, red howler monkey, black caiman, and one of the world’s biggest fresh water fishes, the Paiche. 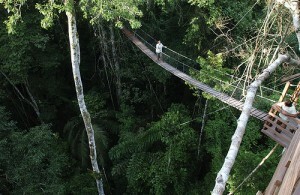 We will go back to the lodge for lunch, because later on the canopy walkway and anaconda walk await for you. We will take a 20-minute outboard-dugout canoe ride to the Canopy Walkway Interpretation center where you will learn about its construction and the conservation projects. We will ascend one of the two 98-foot towers (30 mts.) 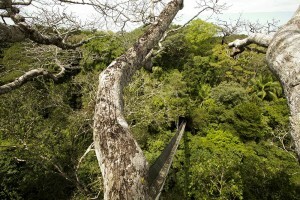 and cross the 7 hanging bridges that connect the treetops at 91 feet high (28 mts.). We will enjoy breathtaking views and get a chance to watch white-throated toucans, woodpeckers, trogons, squirrel monkeys and the three-toed sloth. After descending keep on feeling the incredible primary rainforest vibe going for about 30 minutes along the 200-meter wooden bridge over the aguajales swamps. You will learn about the fauna and flora of this flooded ecosystems. After we will return to the lodge and enjoy a nice dinner. The sun rises once again and after breakfast, we will get ready for the cocha excursion. This includes a canoe ride on the Hacienda Concepción cocha. We will try native fishing applying the “catch and release” techniques, as you enjoy the scenery observing hoatzins, a diversity of fly catchers, and gray-necked woodrails. We will disembark at the remains of Fitzcarrald steam boat, and learn about its history. After getting back to Hacienda Concepción we will have lunch. In the afternoon you will prepare yourself for the next excursion at the river lands, known as “Rolin”. We will take a boat ride and walk over the island. We will learn about this flooded ecosystem and vegetation while enjoying a bit of bird watching. Later on we will explore our inland colpa. We will walk for about 15 to 20 minutes toward one out of four clay licks that we have in Hacienda Concepción. We will learn about this mammal inland collpa activity and the difference between collpas according to their location, while looking for footprints and traces of animal activity on the clay lick walls, such as the agoutis’, monkeys’, and peccaries’ among others. After we will go back to the lodge to relax and have a delicious dinner. After a buffet breakfast we will take an outboard dugout canoe ride back to Puerto Maldonado. We will arrive at the butterfly house, where you may wait for your flight back home or to your next destination. 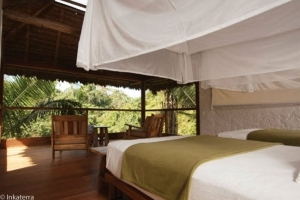 You can reserve this amazing lodge lodge in a program of 3, 4 or 5 days.